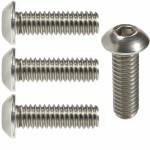 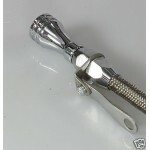 FULL STAINLESS AND BILLET ALLOY LOKAR KICKDOWN CABLE BRAIDED STAINLESS, WITH NYLON INNER CORE. 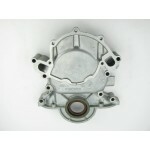 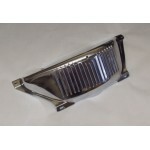 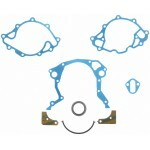 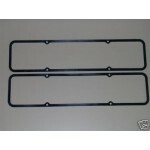 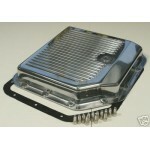 TH..
FORD WINDSOR 302, 351W, 5.0L AND 5.8L ALLOY TIMING COVER LATE STYLE WITH DIPSTICK THROUGH THE.. 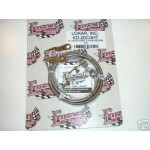 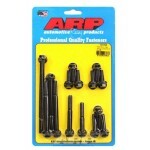 FLEXIBLE ENGINE OIL DIPSTICK FOR SBC CHEVY PRE 1980 - ENGINES BILLET ALUMINUM H.. 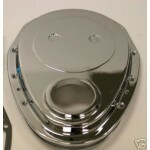 THIS IS THE PREMIUM TIMING COVER SET AND WE JUST MADE IT BETTER WITH CHROME OVER ALLOY FINIS..
GENUINE OLD SKOOL CUSTOM STYLE SBF FORD 260 289 302 351W STOCK POLISHED STAINLESS TRI-Y STYLE..
POLISHED AND RIBBED TRANSMISSION PAN FITS TURBO 350 GM TRANSMISSIONS THE B..
FORD WINDSOR 289, 302, 351W ALLOY TIMING COVER GASKET AND SEAL KIT EARLY STYLE WITH DIPSTICK .. 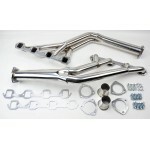 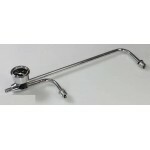 FLEXIBLE ENGINE OIL DIPSTICK FOR SBC CHEVY POST 1980 - ENGINES BILLET ALUMINUM ..
9 -5/16” INCH PERFORMANCE DUAL FEED CHROME FUEL LINE FOR 4150 AND 4160 3310 SERIES CA..
SANDEN AC COMPRESSOR FRONT COVER Billet Aluminum AC Compressor Cover - Sanden 508 Style ..
POLISHED AND RIBBED TRANSMISSION PAN FITS TURBO 400 GM TRANSMISSIONS THE B..
FORD WINDSOR 289, 302, 351W ALLOY TIMING COVER ARP BOLT KIT KIT EARLY STYLE WITH DIPSTICK THR.. 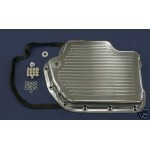 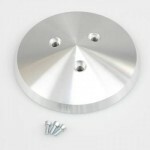 PRO BILLET CHEVY T350 & T400 TRANSMISSION ALUMINIUM FLYWHEEL COVER New ALUMINIUM TH..
"BACK IN STOCK THIS WEEK" THEY JUST KEEP WALKING OUT THE DOOR EVERYONE WANTS THEM, MECHAN..